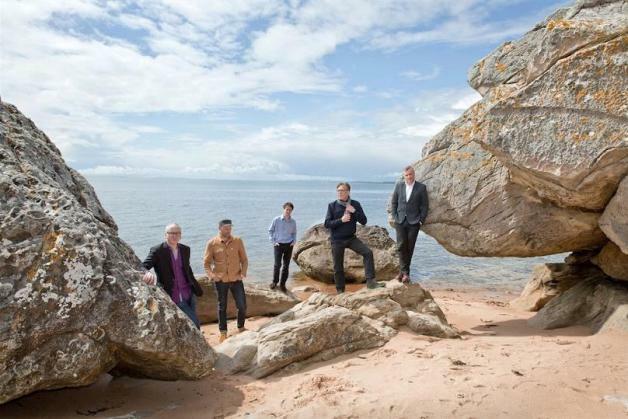 Teenage Fanclub are one of indie rock’s foundation stones, the sort of band who have always been there, and – so we thought – would always be there. The loss of founding member Gerard Love severs that connection just a little. Set to depart the Glasgow band due to “irreconcilable differences”, it’s a sign that nothing lasts forever – not even in the evergreen world of Teenage Fanclub. This imminent departure lends a slight pang of poignancy to their current run, an appropriately Autumnal run that has already visited their home city’s legendary Barrowlands venue. Performing their Creation catalogue in full – even the B-sides get a set of their own – it’s a choice laden with nostalgia, and the heavy weight of history. Yet truly, if any band is justified in looking back a little it’s Teenage Fanclub – these are undoubtedly influential but often overlooked records, beautifully romantic documents of teen longing set alongside chiming guitars hewn from the ever-present rain of Glasgow. The opening night of this London run finds an enormous queue spiralling outside Camden sweatpit the Electric Ballroom. Gerard Love may be departing, but former comrades at arms Brendan O’Hare and Paul Quinn return, giving the show the feeling of a warm, friendly family re-union. ‘Bandwagonesque’ occupies the first set, and it’s a breezy stroll through an all-time favourite. ‘The Concept’ brings the first singalong, the audience the mesh of ear-to-ear grins and open mouths, re-visiting more than a few memories in the process. ‘What You Do To Me’ is a coy jangle pop miniature, while ‘I Don’t Know’ recovers its grunge roots, more Dinosaur Jr than Sarah Records. ‘Metal Baby’ is a neatly melodic shambler, while ‘Sidewinder’ is all taut guitar solos, the band’s front line attack working perfectly. Of course, it’s all delivered with a nod and a wink, the band’s self-deprecating humour to the fore. At one point Norman Blake informs the crowd Teenage Fanclub were about to launch a trendy, left field eaterie that specialised in sandwiches. It’s name? ‘Bohemian Wraps All Day’. With the crowd chanting for Gerard Love the guitarist awkwardly leads Teenage Fanclub offstage for the mid-way break, a time to recoup before they continue their journey, as Neil Young once had it, into the past. ‘13’ was given a raw deal by the music press of the day, and its somewhat muddied production and lengthy nature – the title refers to the number of songs on display – certainly hold it back. But here, with the warm enthusiasm of fans that feel more like old friends, it comes into its own, with moments even surpassing ‘Bandwagonesque’. The sound is cranked up a little, bringing out fresh rock impulses, the interweaving guitar lines recalling the bombast of Crazy Horse, but forever obeying their romantic heart. ‘Radio’ feels urgent, while ‘Song To The Cynic’ is much more barbed, more incisive than it appears on record. ‘120 Mins’ is a neat nod to the MTV era, it’s self-effacing nature given a little more power with the benefit of nostalgic 20/20 vision. A lengthier, more expansive beast than ‘Bandwagonesque’, ‘13’ naturally has more hidden corners, more nooks and crannies to explore. ‘Tears Are Cool’ is so heart-on-sleeve it almost hurts, while ‘Get Funky’ is a cute 90 second miniature. Appropriately the final word – or should that be final notes – go to Gerard Love. His composition ‘Gene Clark’ ends the album, it’s practically a mission statement for that era of Teenage Fanclub, right down to the Byrds-referencing title. A bold, wonderfully warm and entertaining start to this run of shows, Teenage Fanclub prove that sometimes, just sometimes, rolling back the years is worthwhile. An oft under-rated phenomenon, their Creation catalogue ranks as one of the finest of that, or any other, era. Appropriately, former label boss Alan McGee makes it to the show, and gains a round of applause for helping kick the whole thing off anyway. A night of affable, cordial emotion, Teenage Fanclub’s current tour is part celebration and part valedictory salute; truly, there’s no one like them.